I’ve laboured over this for a long time and as much as I saw it coming it still feels odd to have to do this but TBS is raising it’s prices. 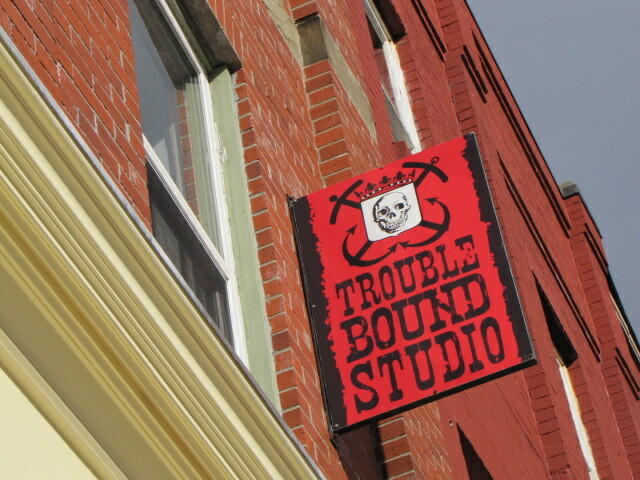 When I began tattooing in 1992 in Toronto, I worked at a shop that charged $125/hr and now nearly 20 years later I own a shop that is charging $120/hr. Amazingly enough, inflation has not worked the same way as my shop’s pricing and in the last five years most of our expenses have drastically increased, in some cases they have even shot up as high as 300%. In the face of this reality TBS will be raising it’s rates to $150/hr. All pre-exsisting appointments will not be effected by this price change and all existing quotes will remain the same. As of Nov 1st, another policy change will take effect. For quite a while, a number of tattooists at the studio have been taking deposits on appointments. This has lead to some confusion at times; so what I have decided to do is make deposits an official shop policy. NO APPOINTMENTS WILL BE BOOKED WITHOUT A DEPOSIT from Nov 1st, 2011 on. A $50 dollar deposit will be required on any tattoo under 3 hours and $100 deposit on any tattoo over 3 hours. If for some reason you decide to change or cancel your appointment we require 48 hour notice or you will forfeit your deposit. This policy will just come into effect with new appointments.